Fear not! The Heat is returning for the weekend! We finally got some real rain over the past few days! Might stave off water restrictions in Port Alberni for a few more days than otherwise might have been the case. I also wanted to post an update which included a little ditty about Arctic Sea Ice. Two important bits of news out. First the Monthly report from the National Snow and Ice Data Center in Colorado is out and while this past June wasn’t as bad as it could have been.. the trend downward for ice cover continues. The more disturbing trend though, noted in this NASA paper out today, is reduction in ice thickness over the past 30 years. 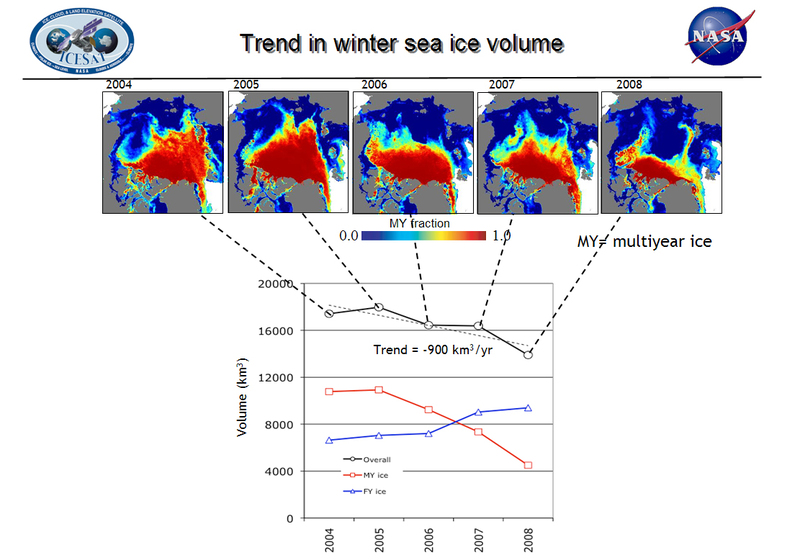 We are at all time lows in terms of multi-year sea ice. The trend over the last 5 years alone has been a loss in volume of 900 cubic kilometers, or roughly two Lake Eries, a year. And hey, if you’re around on Saturday, come out to the City Wide Garage Sale! Yours truly will be participating at 3854 6th Ave. you can see the full list of participating merchants here with addresses here. There will also be people at that Walmart parking lot. Here’s a Google Map of all the Sales happening! Geez – maybe we should be having lemonade stands for the garage sale weekend! It’s looking pretty hot!!! Hope you have a blast and sell everything! About the return of hot weather – Have you checked Brett Anderson’s (at Accuweather) latest long range predictions? It looks like hot and dry is here for the summer! I hadnt seen that yet no thanks Bill!